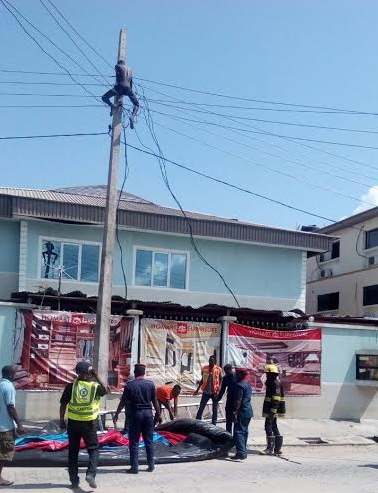 A Cameroonian man who attempted suicide by climbing on an electric pole in Lekki area of Lagos today is now receiving treatment at the hospital. Frederick Gino told LASEMA officials he didn’t know how he found himself in Nigeria. 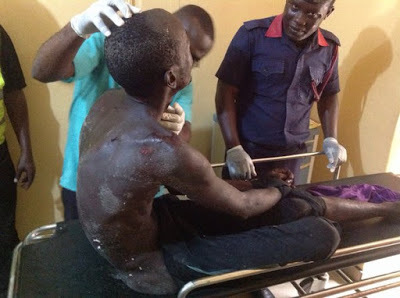 LASEMA officials have forwarded his information to the appropriate authorities in order to connect him with his family members in Cameroon. 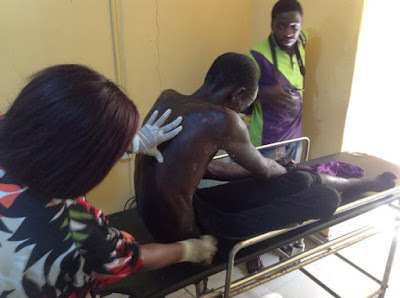 A Cameroonian man, came all the way from his country to attempt suicide in Nigeria. A special case to be treated in a special way by sending him back to his country once hes okay. Also, I can bet it with you, if this man is bn compensated some many people will start this business. Hahahahaha!! Jlo, for the records, we don’t have Ebola in Cameroon. I’m even afraid that he might come back to Cameroon with Ebola from Nigeria. Hardship nawahoo o, you don’t know how you come to Nigeria and you want to kill yourself in Nigeria. Please go back to your country. 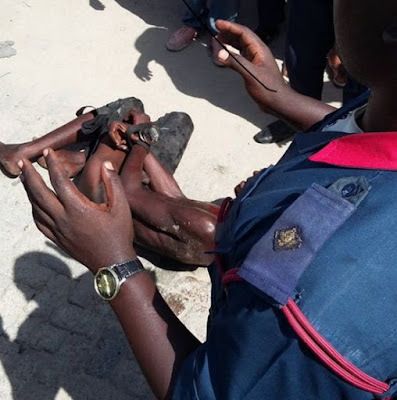 Oga please when you get to your country take life easy, if you kill yourself what will you tell your God. Oh, because you didn’t know how you found yourself in Nigeria, that’s why you thought killing yourself will send you back to Cameroon. Weldon anyways.